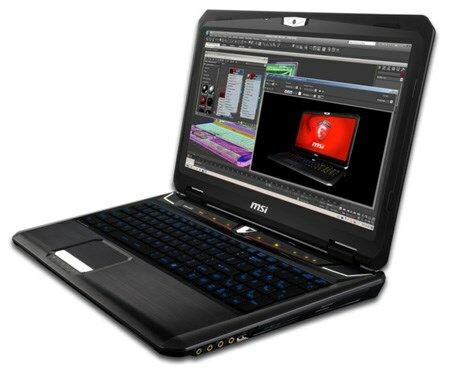 MSI shows off the GT60 Workstation, the company's first product for the mobile workstation market. This new 15.6" laptop will arrive in December 2012, it features a 1920 x 1080 pixel screen that covers about 95 percent of the NTSC color gamut, Intel Core i7 "Ivy Bridge" quad-core processor options, the NVIDIA Quadro K2000M workstation card with 2GB GDDR5, up to 32GB DDR3 memory and two 64GB mSATA SSDs in RAID 0 plus optional HDD RAID 0 or RAID 1 configurations. Pricing is unknown.